Yorkshire terrier is a small breed that is first raised in Yorkshire, England. That’s how it got its game. It is considered a toy terrier because of its size and weight. The dog is known to be loving, bold and active. When nurturing a Yorkie, it is vital that you know the requirements of the breed to be a suitable parent for the dog. It is always good advice to follow the same type of food and feeding procedures that your breeder recommends for at least two weeks after you bring home your new Yorkshire Terrier puppy. Yorkshire Terrier puppies need to eat higher protein puppy food at least three to four times a day until they are 1-2 years old at which time you can switch them to an adult dog food. If your Yorkie suffers from hypoglycemia (low blood sugar) from fasting too long between meals, you may have to feed your puppy smaller meals more frequently throughout the day. 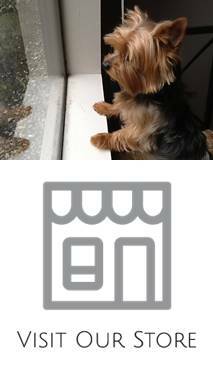 Some Yorkshire Terrier puppies will not show great interest in their food and if this is the case, try mixing in a little bit of warm water to enhance the smell of the food. If you think your puppy may be suffering from low blood sugar, mix a little honey into their drinking water. The amount of food and how often you feed will depend on the age of your puppy and their level of activity. The chart below will provide you with an ESTIMATE of your puppy’s weight from birth to 18 months of age. Your breeder may be able to provide a more exacting estimate. Before using this chart, you must convert your puppy’s weight into ounces, and their age into weeks. If you require assistance converting, please click the links below. From the moment your Yorkshire Terrier puppy is born, until they are approximately two weeks of age, their strongest bond will be with their mother. Puppies are born blind and deaf with only their sense of smell to help them find their mother, and are unable to regulate their own body temperature, which means that they depend solely on their mother and other litter mates for warmth. A puppy separated from huddling with its litter mates can quickly die from hypothermia.